Thank you for looking me up. If you wish to contact me, just use public@jonathanperret.net . I am a worker-owner at /ut7, a cooperative enterprise. I was in Salt Lake City to present The Kata In The Hat for the Agile 2011 conference, still together with Emmanuel Gaillot. 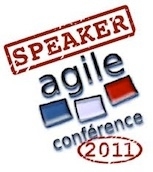 I presented a "TDD clinic" at the Agile France 2011 conference. At Agile Tour 2010 in Bordeaux, then at XP Days Benelux 2010 in Heeze, and back for Mini XP Days Benelux 2010 in Mechelen, together with Emmanuel Gaillot we presented The Kata In The Hat, a programming performance. I programmed Number32, an iPad artgame, during the first ArtGame week-end. 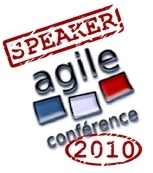 I spoke about Continuous Integration at the Agile France 2010 conference.